The woman who drove United Road Services to the top of the motor vehicle hauling market has decided to take a back seat beginning Jan. 1. Kathleen McCann, chairman and CEO of United Road, announced Sept. 7 that Mark Anderson will take over as CEO next year as she transitions to the role of executive chairman. McCann, 58, who joined United Road in 2011, led the company through a period of rapid growth with three different private equity firms providing financial support for the business. 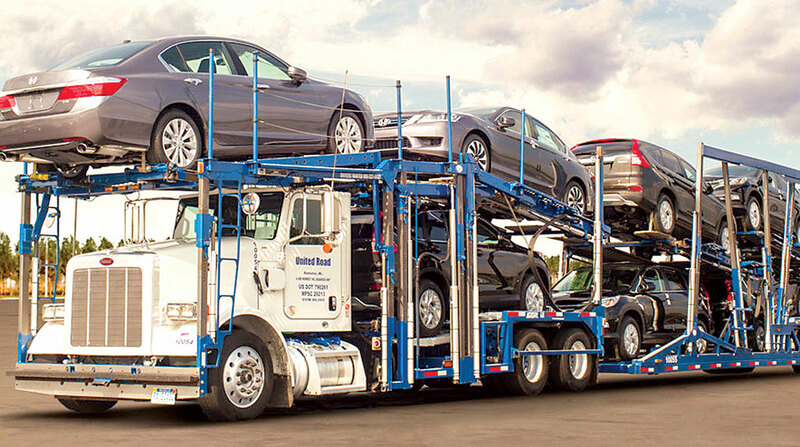 Since 2011, United Road has more than doubled in size and in 2017 surpassed Jack Cooper Holdings to become the largest provider of vehicle transportation services in North America with annual revenue of $645 million. Anderson, 53, was hired as chief operating officer in 2014 and currently serves as president and COO. Prior to joining United Road, Anderson worked for more than 25 years as an executive with a variety of businesses with significant logistics components, including car hauling, solid waste collection, fuel distribution and industrial plant services. McCann said she will focus on long-term strategy as executive chairman. A search is underway to hire Anderson’s successor as chief operating officer, the company said in a statement. United Road Services ranks No. 51 on the Transport Topics Top 100 list of largest for-hire carriers in North America. The Romulus, Mich., company manages the transport of more than 3 million vehicles annually, has 1,700 employees and operates a fleet of 1,900 company-owned and contracted vehicle carriers. Customers include all major global vehicle manufacturers, remarketers, financial institutions, car auctioneers, auto dealers, rental companies and online sellers. United Road was acquired in 2017 by The Carlyle Group.